Avail banking services such as cash withdrawal, balance enquiry, Value added services viz. 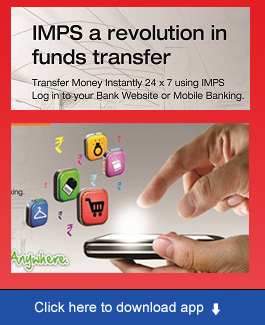 Fund transfer, Mobile recharge, tax payment etc., from ATMs round the clock. Make payments to merchants though POS terminals and through online mode. Debit cards are accepted at all the ATMs and merchant establishments across the globe displaying VISA/MasterCard/RuPay logo. Debit Cards can also be issued for domestic transactions alone. Debit Cards are issued only to Bank account holders. With increasing technology adoption Debit Cards can be used for many other purposes like access card, customer validation etc. Green PIN Facility (No PIN mailer is required). Multiple account access – Customer can access up to three accounts linked to a single cards. Add-on cards are issued in case of Joint Accounts. Secure online transactions are available through Usecure registration. Cash withdrawals are possible at specified merchant locations. Free Insurance is available against accidental death. 24X7 access to Call Centre to hotlist the debit card. Customer can also hotlist their debit card through SMS, Mobile Banking and Internet Banking facility. Annual charges are waived in BSBDA/BSBDS accounts and also in accounts where the account holder does 40 POS/E-comm transactions in previous year. For other Saving accounts, all the transactions done at other Bank ATMs will be charged. Union Bank of India issues Debit Card as part of ready the kit at the time of account opening and the cards get activated after its first use for withdrawal at ATM. Existing account holders without Debit Cards can download and fill the form and submit it at the nearest branch to get a Debit Card. Customer can contact the nearest branch for add-on card or linking additional accounts to the Debit card. Online debit card application facility is provided in Bank’s corporate website for the customers who does not have active card. Charges for subsequent year to be charges annually from the date of card issuance. For other than waived accounts as above. Cash withdrawal at other Bank’s ATM Beyond free transactions. Go to our bank’s ATM, insert your card and select SET ATM GREENPIN option in language selection screen. Select GENERATE OTP option, you will get the OTP on registered mobile number. Again insert your card and select SET ATM GREENPIN option, and then select VALIDATE OTP. 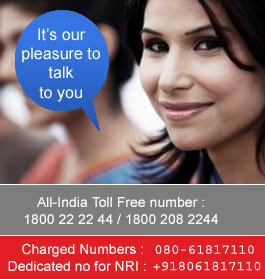 Enter OTP which has been received on your registered mobile number. Enter NEW PIN two times. This is your new ATM PIN. Lounge access program allows 2 complimentary accesses per quarter to Rupay Platinum cardholders. For more details, kindly visit https://www.rupay.co.in/rupay-offers. Customers are advised that any person resident in India collecting and effecting/remitting payments directly/indirectly outside India in any form towards overseas foreign exchange trading through electronic/internet trading portals would make himself/herself/themselves liable to be proceed against with for contravention of Foreign Exchange Management Act (FEMA), 1999 besides being liable for violation for regulations relating to Know Your Customer (KYC) norms/Anti Money Laundering (AML) standards. If the customer attempts to do such transaction, the bank will immediately block/cancel the card and close the account without any further notice. The names of defaulting customers will be reported to Reserve Bank of India.